Arguably the most scientifically-important (and controversial) elk herd in the world, because it has been scrutinized and studied the longest, is in Yellowstone National Park. The first professional study of the herd was started in 1916 and the herd has been at the center of debates about the forces that shape wildland ecosystems ever since. In addition to providing insight into ecosystems, the Northern Yellowstone elk have been an important source population for restoring other elk herds in the United States and Canada where they were eliminated during the late 1800s. 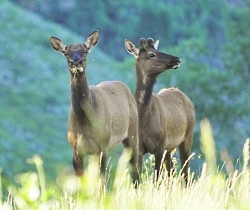 Many elk herds in North America trace their ancestry to translocated elk from northern Yellowstone. 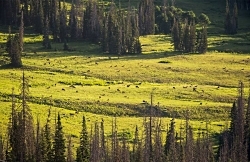 The herd has a seasonal migration route that stretches from the Paradise Valley in southwest Montana to the southern boundary of Yellowstone National Park – a distance of 80 miles. Prior to the Yellowstone’s establishment in 1872, market hunting decimated the elk herd, reducing it to a few thousand animals. Through the 20th century the population gradually grew and in 1994 it reached a peak of over 19,000. A year later, the first of 41 grey wolves were reintroduced to Yellowstone. People wondered what impact these wolves would have on the Yellowstone herd since elk are the main source of food for the canines. They imagined the poor creatures hiding in less than ideal habitats because they had been chased off by the wolves. However, studies conducted by MacNulty and others have since revealed that elk continue to maintain regular access to all their usual habitats irrespective of wolves. 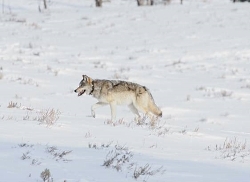 In one recent study, for example, MacNulty and his team found adult female elk established and maintained winter home ranges without regard to several measures of wolf predation risk including the density of wolves and the risky areas where wolves often kill elk. 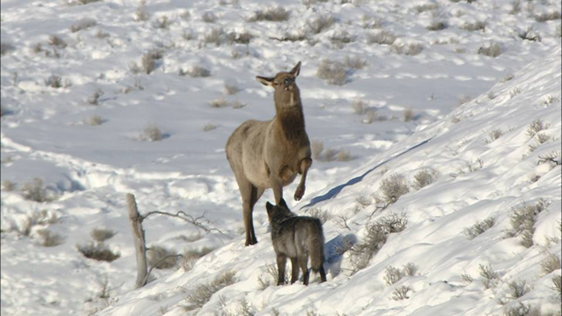 Elk coexist with wolves in a variety of ways. One way is elk use the riskier areas of the landscape when wolves are resting, which is in the afternoon and, surprisingly, at night. Wolves don’t have ideal vison for nocturnal hunting, so they often settle down after sunset and resume hunting at dawn. 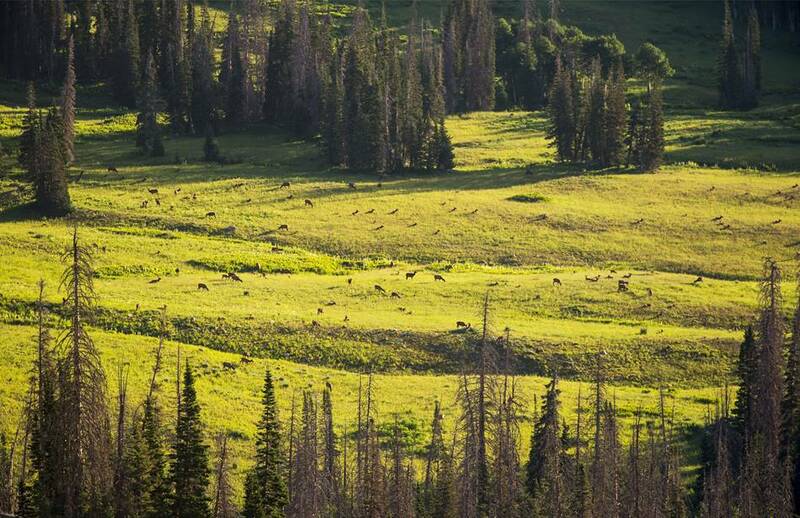 These nightly lulls in wolf activity allow elk to graze the open grasslands in relative safety. But even when wolves are on the prowl, elk don’t seem to go out their way to avoid them. MacNulty’s recent study found the rate at which elk encountered wolves was no different from what was expected if elk simply ignored wolves. This is possible because elk often survive their encounters with wolves, owing to their larger size, aggressive demeanor, and herding behavior. 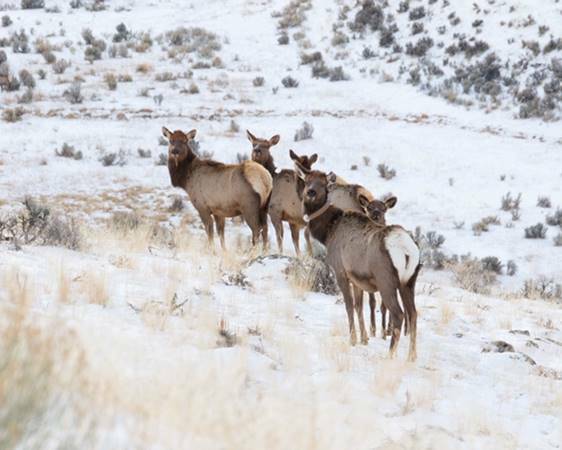 As a result, elk seem to place greater emphasis on finding food than on avoiding wolves. The emerging picture is that the effect of wolves on the northern Yellowstone elk herd is defined by wolves eating rather than scaring elk. How much this consumptive effect actually matters for elk population growth is the focus of ongoing research. One clue that it may not matter too much is the elk population has been steadily growing since 2012. MacNulty cautions that we should recognize the complexity of the Yellowstone ecosystem and resist the urge to jump to conclusions, and instead rely on patient data-gathering to test what may seem obvious. Nature can be full of surprises.